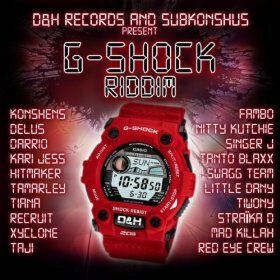 iDancehallReggae.com::Caribbean Lifestyle Media::: Video BUZz: G-SHOCK MEDLEY VIDEO Featuring Konshens, Delus, Fambo and More! Video BUZz: G-SHOCK MEDLEY VIDEO Featuring Konshens, Delus, Fambo and More! This will be the second collaboration from DQM (Dave’s Quality Meat), and the third respectively for LRG (Lifted Research Group), with this being their second DW6900 to be produced by g-shock.